Teeth whitening has become the most popular and commonly performed cosmetic dental procedure for patients today. One look at how quickly and easily professional teeth whitening procedures can restore the luster lost to a smile from years of consuming tooth-staining foods and drinks and you’ll understand why. 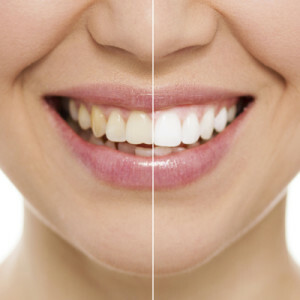 At Northfield Family Dental, your Denver dentist of choice, we provide a simple and inexpensive bleaching procedure patients can receive in either our Northfield dentist office or in the comfort of their homes. Depending on individual preference, you can brighten just the upper, more visible teeth or both the upper and lower rows with the use of our special whitening agent that removes stains from the surface of tooth enamel. Once your teeth reach a preferred state of brightness, only occasional treatments are needed to maintain your brilliant new smile. Tooth bonding is the application of a tooth-colored resin material using adhesives and a high-intensity curing light. The procedure gets its name from the materials used in the procedure being “bonded” directly to surface of a patient’s tooth. Tooth bonding is used cosmetically to improve the appearance of discolored or chipped teeth, remove decay, lighten stains, close minor gaps or correct crooked teeth. Tooth bonding is an effective, convenient, and long-lasting way to restore the natural look to your smile. Tooth bonding will typically last between three to five years before repairs are necessary. Northfield Family Dental can often complete tooth bonding treatments in just one visit. That’s all it takes to significantly improve the appearance of your smile! Dental veneers are incredibly thin, custom-designed shells of tooth-colored materials designed to cover the front of your teeth to improve appearance. Veneer shells are bonded to the front of your teeth to change the color, shape, size, or length. Dental veneers are constructed from either resin composite materials or porcelain. Porcelain veneers offer better stain resistance than resin veneers and better match the light reflecting properties of natural teeth. However, resin veneers are thinner and require less removal of tooth surface before placement. A consultation with Northfield Family Dental will help determine which type of veneer material is right for your oral health needs. The placement of dental veneers typically requires three visits to our Northfield dentist office. 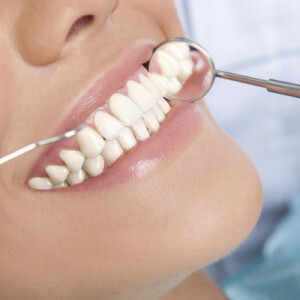 Your first visit will involve a consultation where an impression of your teeth will be made and sent off to the lab. The lab will then use these impressions to create custom built shells that will seamlessly fit over the surface of your teeth. The veneers will then be placed and bonded to your teeth during the third visit. Veneers require the same amount of care as regular teeth. Brushing twice daily and flossing once a day, along with regularly scheduled checkups and cleanings with Northfield Family Dental, will ensure a bright and healthy smile for years to come. Patients may experience temporary discomfort for a few days with each new stage of treatment. Patients may experience a feeling of pressure on their teeth, which could result in a few minor symptoms of discomfort. However, the pressure you feel is a sign that Invisalign is working to slowly move your teeth into the desired position. Any discomfort you may experience will typically pass after a couple of days. 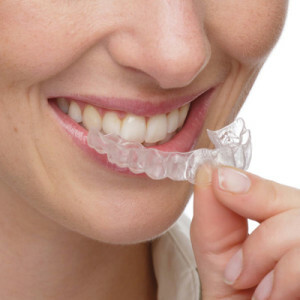 Invisalign offers comfort and convenience and is the only teeth straightening system that allows patients to see in advance what their smiles will look like once their treatment is complete.